Check out the virtual tour. 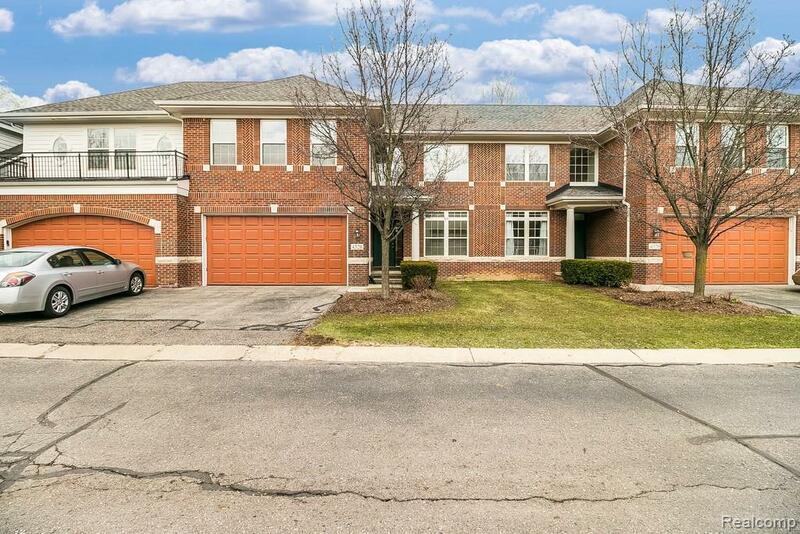 Move in ready condo with easy access to West Bloomfield's best shopping and dining but with a secluded, peaceful setting. 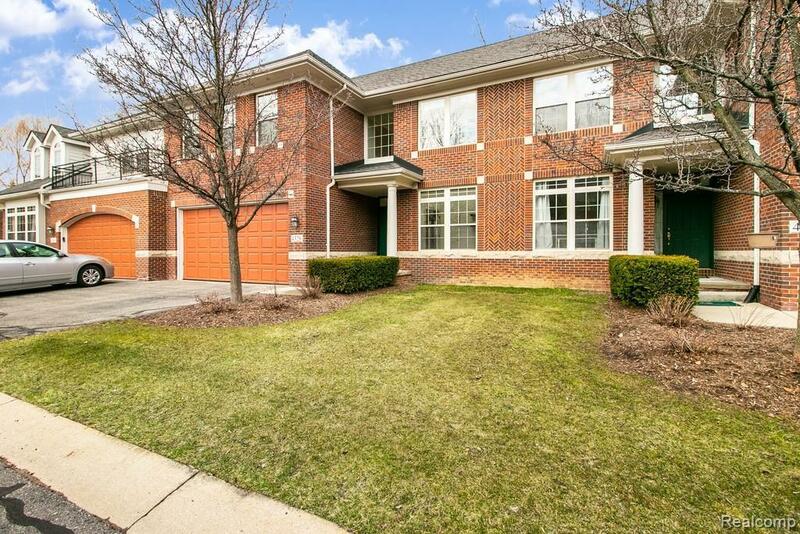 This large open floor plan condominium offers high ceilings and tons of natural light. 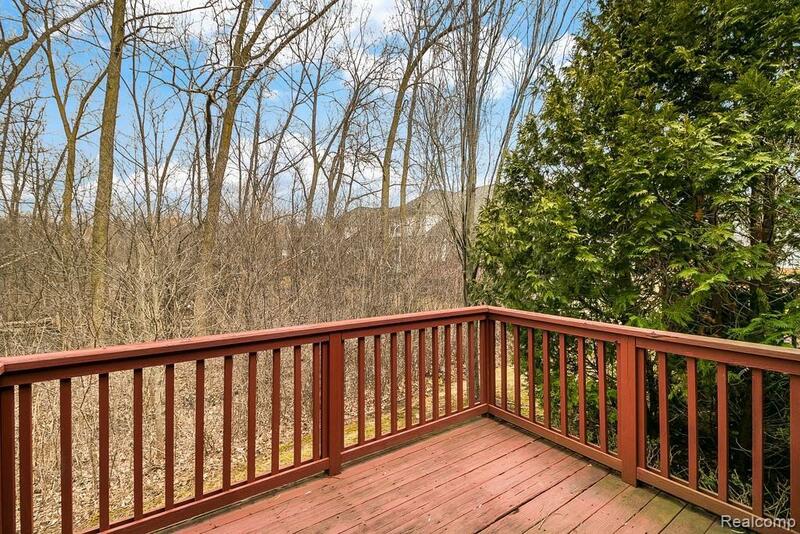 The main deck has great views of trees and wildlife. Oak cabinets in the kitchen with Corian counters and all appliances are included. 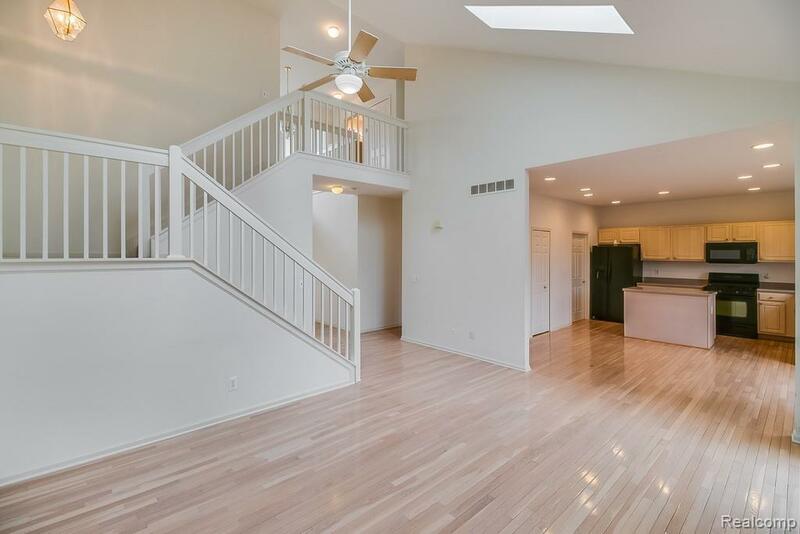 Hardwood floors throughout the main level, the Great Room has 2 story ceilings with Skylights and a Fireplace. The master suite is very spacious and the master bath features dual sinks, stand alone shower, and a soaking tub. Finished basement with new carpet offers even more finished living space. Ready for immediate occupancy and a quick move-in. Listing courtesy of Nexthome Edge.